The terms bi’thah (sending), risalah (message) and irsal (sending) are used for nubuwwah (prophethood) in the Quran and the terms nabi (prophet), mab’uth (the sent one), rasul (messneger) and mursal (the sent one) are used for nabi (prophet); their plural forms are anbiya, mab’uthun, rusul and mursalun respectively. The word safarah is also used for prophethood and safir (plural sufara) for prophet. Nabi means the one that brings news; rasul, mursal and mab’uth mean messenger, envoy. 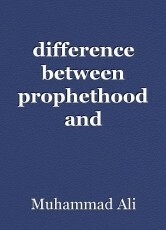 Thus, prophet means the messenger and herald sent by Allah. Their duties are to convey the information, news, orders and prohibitions they take from Allah to people.